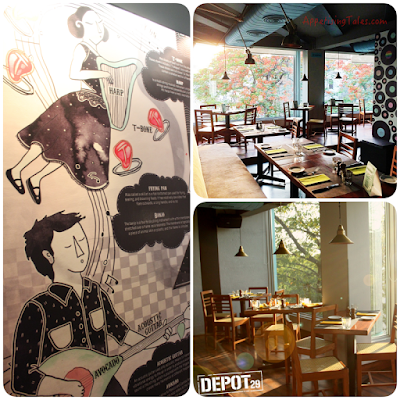 Depot 29 has a chilled vibe and seems to be as popular with twenty-year-olds as it is for the older lot. Evenings are made ambient with dim lighting and live music a few times a week, while days lend an eyeful of the gorgeous Gulmohar trees outside. The restaurant offers “Original Music and Inspired Food”. So Friday and Sunday evenings feature gigs by bands that produce original music. Since they don’t stick to any particular genre, you can expect anything from jazz to hip-hop and blues to qawwali! There are occasional live performances on other days of the week as well, so do call and check in case you’re interested. 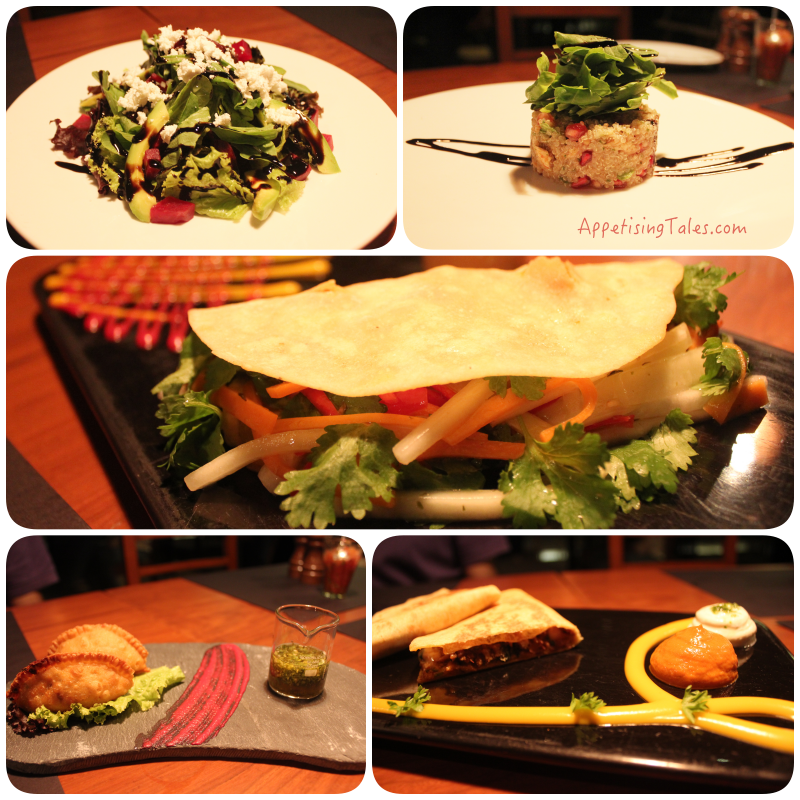 Top: Beetroot and avocado salad; Quinoa salad. Middle: Banh mi style chicken taco. Bottom: Chicken chipotle empanada; Pulled pork quesadilla. The “inspired food” includes a choice of salads, empanadas, quesadillas, tacos, burgers and waffles. “Although we serve American and Mexican food, you will find familiar flavours from Kolkata, Mumbai and South East Asia,” shares Vikas Narula, co-owner, Depot 29. The additions in the summer menu include avocados, mangoes, fresh greens and a larger choice of hand-crafted burgers. The beetroot salad with avocado and goat cheese (Rs 490) comes with a liberal helping of perfectly ripe avocado and a delicious dressing made with rich balsamic reduction. In the quinoa salad with pomegranate, mint & pine nuts (Rs 450) every ingredient mentioned is given adequate importance while a refreshing mint dressing ties all of them together. You may add chicken to this salad at an extra cost, but I am perfectly happy without it. Crisp empanadas with a choice of chicken chipotle or spicy root veggies make for great appetisers, or perfect to have with a beer in the evening. For a more substantial dish, the pulled pork and refried beans quesadilla (Rs 495) is made richer with Monterey Jack cheese. Although it is very flavourful, I would prefer it to be less greasy. And if you like to see vegetables on your plate, try the Banh mi style chicken taco with sriracha mayonnaise (Rs 490). The crunchy pickled vegetables hide delicious chunks of chicken that lie within the taco. Summer Cocktails. Coccarito and Gingernate. The cocktails too have got a summer makeover with ingredients like ginger, green chillies, pomegranate, cucumber and fresh herbs. The mixologist does a good job with the Coccarito – tequila and thyme muddled in ginger ale (Rs 470). The Gingernate is a fabulous concoction of ginger and pomegranate; I requested mine to be made with gin instead of white rum and it turned out great. Top: Asian Chicken Burger with kimchi and onion rings. Bottom: Duck Burger with zucchini and fries. The hand-crafted burgers are fabulous, and whenever you’re in the mood for a juicy, satisfying burger, I would recommend you head here. Pulled pork and duck are usually my two favourite burgers, so I am very pleasantly surprised when I like the chicken burger despite trying the duck option. Don't get me wrong; the duck burger (Rs 650) is very good, with a juicy patty, cucumber and green apple chutney and caramelized onion. 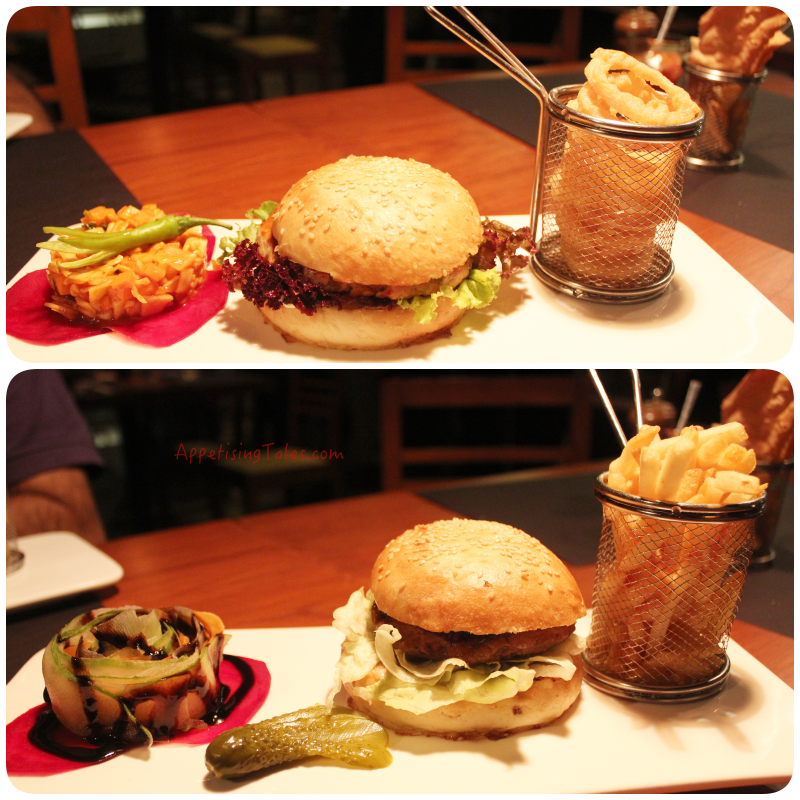 But the Asian Chicken burger (Rs 490) with teriyaki sauce and wasabi mayonnaise, served with kimchi, is fantastic. From Calcutta vegetable cutlet to Mumbai vada burger, jackfruit burger with fried plantain to sesame crusted fava and chickpea burger, the vegetarian options are far from boring. Waffles: Banana and toffee; Wild berry compote. 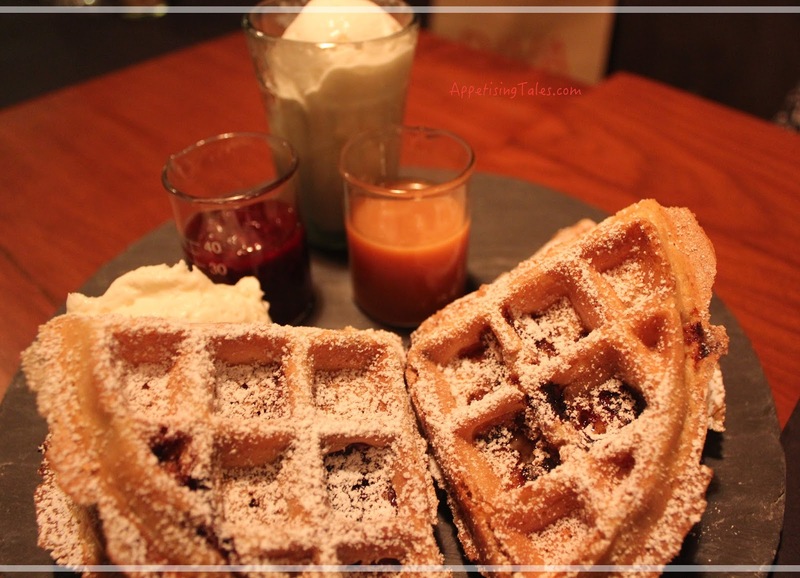 The choice of waffles (starting from Rs 470) includes the classic with butter and maple syrup; banana and toffee; chocolate Gianduja with caramelized nuts; and wild berry compote with mascarpone cheese. The batter is light and airy and the fillings and sauces are rich. If like me you like your waffle to be crisp do let your server know and it’ll be implemented. The portions are rather huge so order wisely. For a lighter sweet ending opt for the homemade icecreams (Rs 190). In a nutshell: The menu and ambience work as well for the day as they do for the evening. If you’ve noticed the pictures, the plating of each dish is fantastic! And finally, when the service at a restaurant is very good it certainly deserves a mention. Depot 29 is a great place to unwind over good music and food, after a busy weekday or during a relaxed weekend. Breaking news: Depot 48 is all set to open in GK 1 at the end of this month. Stay tuned to get a lowdown on that too. 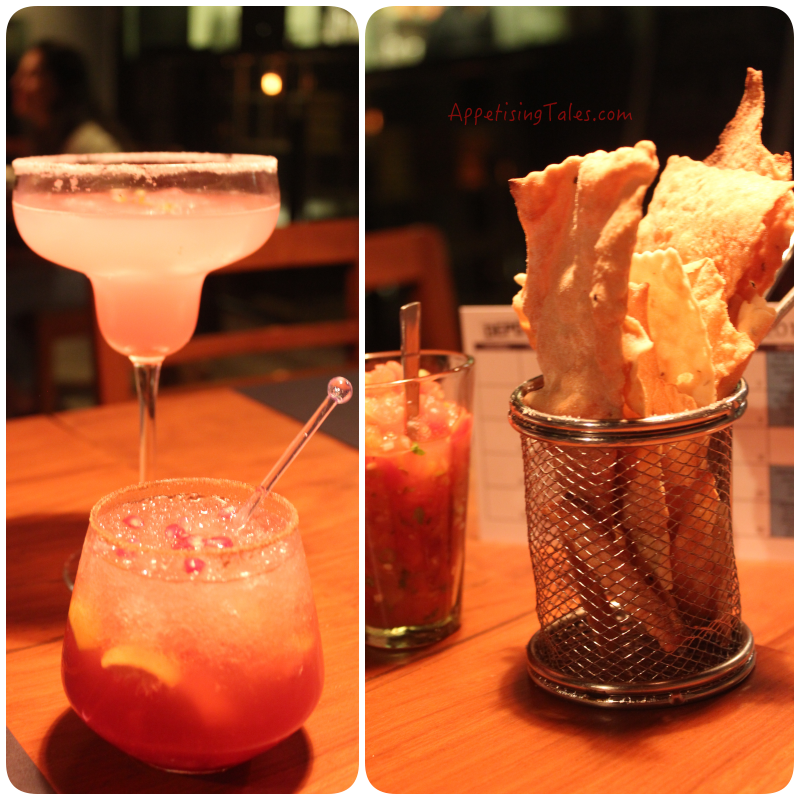 Depot 29, Levels 2 & 3, B6/2 Commercial Complex Market, Safdarjung Enclave, New Delhi-110029.